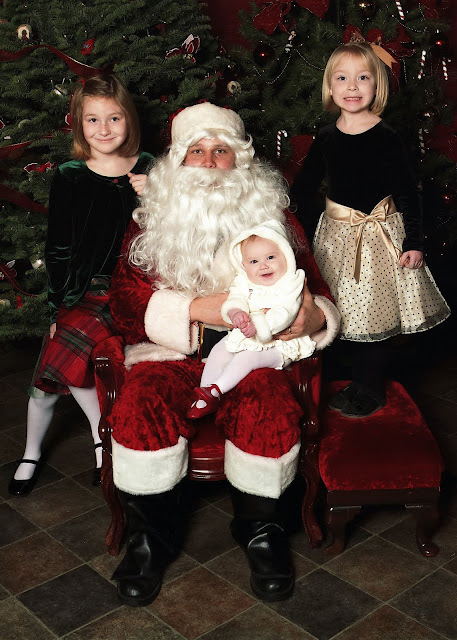 I am so excited to have finally received the picture of my girls with Santa Claus this year! It is a tradition that we take the girls down to the local mall Santa every year to get their pictures taken. This year we decided to support a local cause to help foster children and support a wonderful local cafe by having the pictures taken at Little Garden Cafe. This cafe is my all-time favorite! Located on NW Blvd, it is so homey and comfortable with a kid's play area and beautiful views of Audubon Park. Summer (the baby) was by far the most enthusiastic about the picture! Guess she's just a Santa Baby!